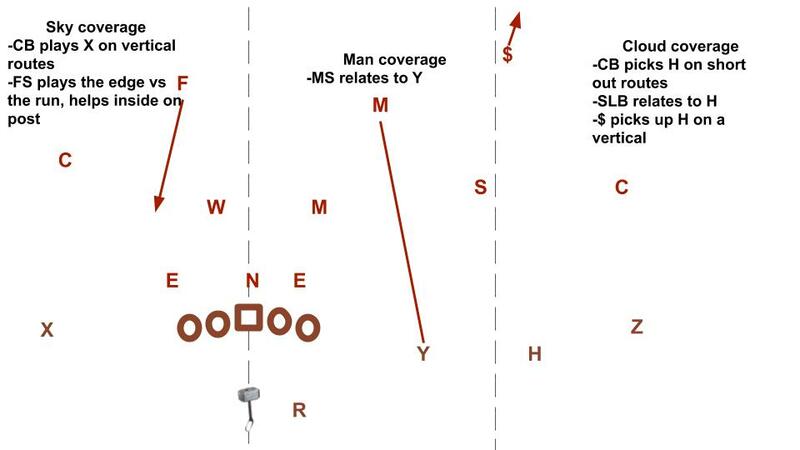 Last Friday at Football Study Hall I broke down OSU’s evolving approach to offense and contextualized it somewhat within their plan for attacking the Cyclone Inverted Tampa-2 defense last season. That post started as me determining to look back and try to fully grok how it was that OSU was able to drop 42 points in that game. Looking back it was notable that it was pump fake Purdy’s first game and that Matt Campbell kind of sprung him on OSU and the world, much like Mike Gundy is probably planning on doing even now with Spencer Sanders. The Cyclones totally shredded the Cowboy defense with Purdy going for over 400 yards while Iowa State dropped 48 points in a game without star RB David Montgomery. Pretty impressive. But the master class session in that game was really on the other side of the ball and that’s what I wanted to look back on. That eventually grew into the article on Gundy’s increased use of TE formations and the QB run game and how that will likely increase in the coming years with Dickey, Gleeson, and Sanders (also Costello, really) as major figures in the offensive meeting rooms. The challenge of playing against ISU’s Inverted Tampa-2 (IT2) is that it doesn’t offer you the same spacing as other defenses. Watching and taking notes on how often and effectively they mix drop eight coverages with a variety of blitzes makes me a little more sympathetic to Dana Holgorsen’s irritated response to me when I asked him whether the Cyclones were pushing forward evolution of B12 defense. The Mountaineers have indeed utilized a similar approach. The IT2 borrows from a dozen places, notably the Tampa-2 design which was actually just a recycling of the legendary “steel curtain” defenses in Pittsburgh during their epic run in the 70s. It’s not like Jon Heacock and Matt Campbell invented an entirely new scheme necessarily, but they packaged existing schemes in a new way in order to handle the challenges they were facing. The main starting point for the IT2 is to deny space and keep their players out of run/pass conflicts. Of course a starting point for the Gundy Cowboys, particularly since Holgorsen brought the Air Raid to town, has been to create run/pass conflicts and attack space. You can see two of a few different approaches here from ISU on how to play this formation (nub trips, TE to the boundary and three receivers to the field). 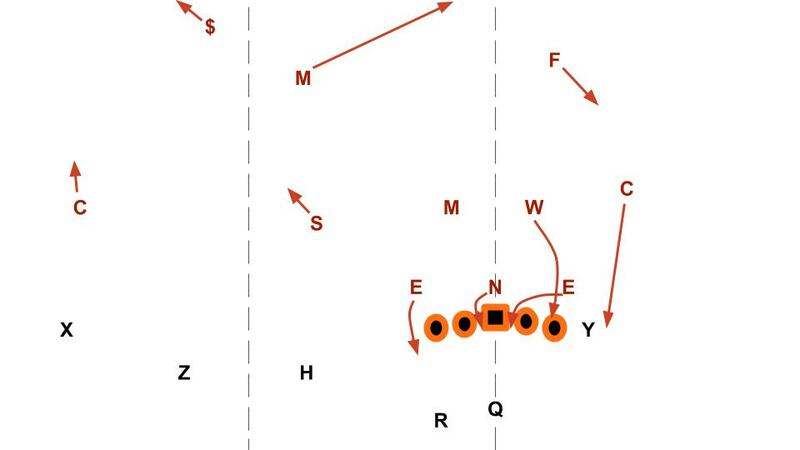 One of two big differences between ISU’s 3-3-5 sort of structure and that of West Virginia is that the Cyclones base out of quarters coverage which allows them to utilize split field coverages. In both of these clips they’re playing cloud quarters on the boundary, meaning that the cornerback is responsible for forcing the boundary edge and the safety is a pass-first player. The benefit of playing cloud against a side of the formation that only includes a TE is that the corner becomes a more immediate run support player if the TE throws a block and the safety tends to arrive pretty quickly as well. This is one of their calls that ends up playing out an awful lot like Tampa-2 because that middle safety sits in the middle of the field and then arrives to the box against the run a touch late for a LB but pretty quickly for a safety. Greg Eisworth was fantastic in this role and led the team with 87 tackles. Basically this time the sam LB is covering H and is the guy that is positioned to bring help to the box against the run quickly. The corner has more the role that the sam had in the previous diagram, playing the flat and forcing the ball inside on runs and screens. The strong safety and middle safety take the vertical routes. The positioning of their middle safety gives Iowa State a ton of flexibility so that they can run what amounts to the exact same coverage in a dozen different ways. For the guys in the box and on the boundary everything is still exactly the same, the mike and will are focusing on playing the inside gaps with the DL and their only coverage responsibility is the RB so there are no conflicts for them. The downside to all of this is the pass-rush, ISU tends to need to blitz if they want to get quick pressure. They have a ton of blitzes though, including this one that OSU caught and burned. 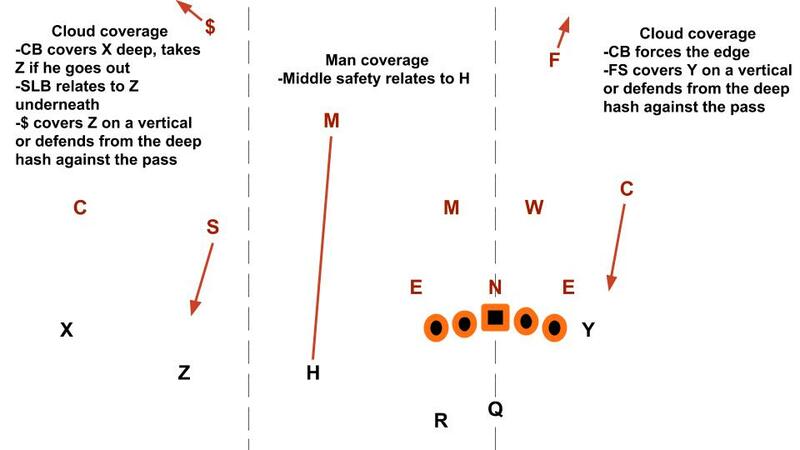 Essentially they’re trading a deep zone defender for a blitzer, bringing the boundary corner and then creating a cascade of secondary effects that includes the free safety playing the boundary flat, the middle safety playing the free safety’s deep hash position, and then the strong safety being left to tend the deep zone to the field. Braxton Lewis ($ #33) just couldn’t get over in time on the triple vertical combination after first having to deny the post route from the Z receiver. Overall Oklahoma State couldn’t figure out how to get a numbers advantage against these shifting looks to run the ball on. They just kept running into this shifting structure that always provided five in the box against their TE formations with a changing cast of DBs serving as the overhangs to either edge. You can see that inverted coverage again here with the middle safety and strong safety dropping while the sam LB and corner to the field handle the underneath zones. They were beat to the boundary because the corner got caught peeking inside and failed to force the ball in for the free safety and LBs. Where are the stress points? For as good as Iowa State is at playing the same, conservative coverages that maintain numbers and leverage against the run in a variety of ways, OSU still managed to score 42 points. OSU’s foundational assumption in this game seemed to be that if they added a gap with the TE they could get a plus one on inside runs or work over the Cyclones on the edge with their superior size. The latter worked out at times but not consistently, the former didn’t really work out at all. The corner gets rag dolled but the safety is always there pretty quickly over the top and the LBs are also scraping hard to the run action in response to the pulling guard. Hill saw that and tried to cut back where the nose had gotten caught in the play-side A-gap. What then happens is the DE works over to the B-gap and spills it so that Hill can’t just march downhill but has to work laterally again where the sam LB is waiting. Even when you can outnumber the Cyclones in the inside gaps, they can keep the ball inside with overhangs that don’t have glaring run/pass conflicts. When the ball is trapped inside then you have to deal with guys like Ray Lima, Jaquan Bailey, and Mike Rose, just watch the LB scrape back over to lay a big lick on Hill. 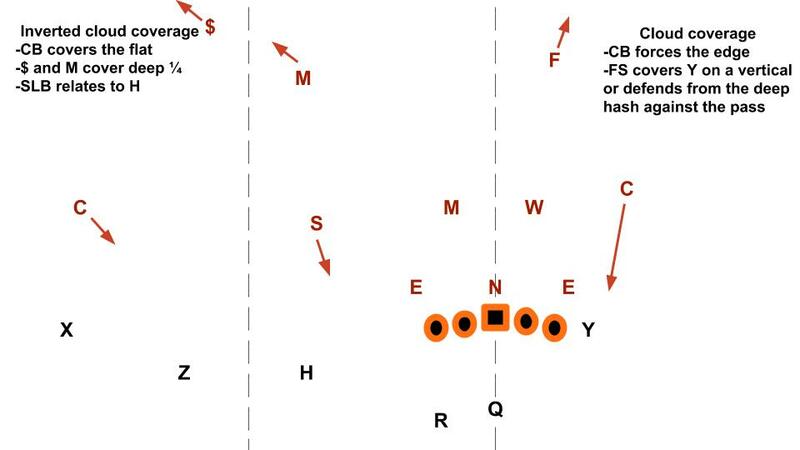 Texas runs a GT counter-read play here and look what happened to the ISU LBs and overhangs. They’re playing the middle safety on the #3 receiver while using sky coverage this time on the boundary so that the corner plays over the WR and the safety is the primary run defender on the edge. The two overhangs are the free and middle safeties and MLB Mike Rose is actually positioned as the C-gap defender due to the field DE playing inside the right tackle. Texas identifies Rose as the C-gap defender and Sam Ehlinger reads him on the GT counter-read play. Meanwhile on the opposite edge, the DE follows “block down, step down” rules to spill the pulling guard’s block outside for the FS and team pursuit but he doesn’t do enough to slow down the LT. That LT then finds Mike Rose, who had to pause to deny Ehlinger the easy edge on the read play and pancakes him to the turf. The WLB Marcel Spears meets pulling tackle Sam Cosmi and gets shoved away (Cosmi is a likely 1st team All-B12 LT next year) and the Cyclones get bit by the X WR getting a really good block on the FS, forcing the CB to replace him. If you remove the seven sacks that Iowa State inflicted on OSU with their blitz package, Taylor Cornelius ran the ball six times for 83 yards and a TD. Their wide dispersal and reliance on DBs arriving after pausing for a beat in the passing lanes can work against the Cyclones if you punch holes through their front but it’s hard to do so without a plus one generated by using the QB. The other option is to flood the deep passing zones. Part of what Iowa State does that makes them so difficult is that they often keep their safeties over the top. It’s one thing to beat a CB on a 1-on-1 with a deep route, it’s another to do so against a safety who can play downhill on the pass and has a lot more leverage. Still, it can be done. This one is brutal, QB iso (dart) with a screen pass option attached. The sam LB Willie Harvey takes the edge so CornDog throws the screen and Stoner clears out the SS Lewis and even shoves him into middle safety Eisworth to clear the outside for Landon Wolf. One thing that OSU has always done well is block at WR on perimeter screens, go back and watch Justin Blackmon highlights and you’ll see the same thing. Both of those scoring plays were very Kansas Statey in nature. The triple vertical to draw in the safeties with the first two post routes only to finally isolate the outside WR on a final deep go or post is something K-State threw regularly to Byron Pringle and Tyler Lockett. The QB iso is another Bill Snyder staple. Many of the best modern defenses, like Iowa State’s Inverted Tampa 2, are still only designed for where spread offense is right now. We have not reached the upper limits of where the spread can go by continuing to double down either on flooding deep zones with receivers or getting into spread out sets only to direct snap run the QB on a depleted box. The Gundy-raid is ready to borrow from some new sources in determining how to achieve those results.